Crescent Roll Ham and Cheese SnacksIf you are looking for a quick recipe for an upcoming get together, these crescent rolls are perfect. Raisin Custard PieIn a medium saucepan, combine sugar and cornstarch. Whisk in the egg yolks, and milk until thoroughly combined. Coffee CookiesIf frosting starts to set up while you are frosting the cookies, add just a touch of milk until you get the consistency again. The frosting is what really makes these cookies. And don't forget to have one with that next cup of coffee or big glass of milk. 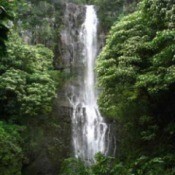 . .
Travel Tips for Maui, HITravel Tips for Maui, HI. Mile Marker 14 incredible snorkeling, also behind Kannapali Shores free beach access has unbelievable snorkeling available. Also this location has a giant sea turtle that calls it home. Don't Buy Items Under StressDon't buy items when you are stressed out or anxious. Always be prepared to leave a store or a car lot if you don't feel comfortable with your purchase. 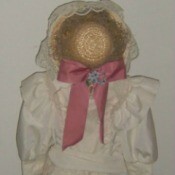 Most items can be returned, no questions asked, within the first month of purchase if they are unopened. 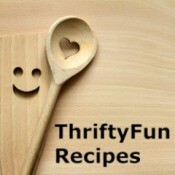 Poll: Would you subscribe to a weekly Crafts newsletter if ThriftyFun published one? 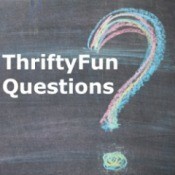 Poll: Would you subscribe to a weekly Crafts newsletter if ThriftyFun published one? 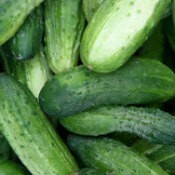 Freezing CucumbersCucumbers do not freeze well by traditional methods, but if sliced, preserved in vinegar or brine and frozen, they will retain their texture and make delicious additions to salads year round. My Frugal Life - Tips from a Single MomI am a single mother of three and a teacher at Head Start. We don't make much money (think fast food restaurants) and we get laid off for the summer so I must live frugally throughout the year. Keeping the Shower and Tub CleanI keep a Magic Eraser in my shower and go over the the tub and shower every time I take a shower. 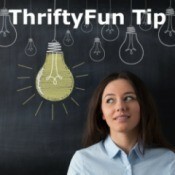 Cleaning a Smelly FreezerIf you have ever had a freezer lose power and have had the stench of rotten meat; here's a tip I learned from my grandmother. Not sure why, but their freezer shut down. They always bought their meat in later year, in halves. Storing BagelsWhat's the best way to store bagels? I am wondering if I should just keep the bagels on the counter in the original bag or should I perhaps keep in the refrigerator? I don't think I need to freeze them as we will probably use them up fast enough. Creating the Base of My Mohawk When styling a hair into a mohawk, how wide should the base be? My hair is down to my shoulders, and I've always had a problem with my base width, not to mention trying to keep it up. but I've got the glue thing down now, but the base always looks awkward. Inexpensive Vacation IdeasI am wondering what can I do for some sort of vacation. I have been working 2 jobs for the last 9 months and school is out. I don't really have any money to spend. I am somewhat handicapped in that I have to have electricity at night so I can't camp. Any ideas would be greatly appreciated. Saving on Gas in AustraliaI am looking for ideas for saving on gas in Australia. Anything would be great. I saw the poll results and wished that the results were the same here in Australia. Missing Your Newsletters? - New Registration RequirementsRegistration is now required to get the email newsletters. We will never send you spam, it just makes it easier for us to manage subscriptions. . .
Low or No-Cost MedicineMy sister is in need of low or no-cost medicines. I have seen e-mail address for them but do not remember them. If you can help her, please do and we will be forever grateful. Elderberry Jelly RecipesI need a recipe for elderberry preserves and/or jelly.